This Minnie Mouse accessory kit makes becoming Mickey's favorite gal a breeze! 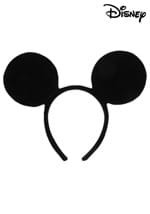 This kit includes a Minnie Mouse headband with set of black polyester mouse ears and a red and white polka dot bow on top. A set of soft white velour gloves fit over your hands and stretch to fit. An elastic band around the wrist ensures a snug fit and a set of black stripes on the top give them a cartoonish look. 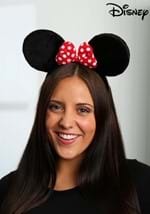 A red and white polka dot choker fits around your neck with a velcro snap in the back, while a Minnie Mouse emblem decorates the front. The included black plush tail is around 24" in length and clamps to your clothing with a plastic clamp. 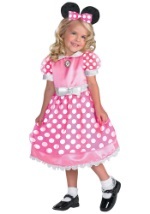 Pair this with one of your own cute red dresses for a quick and easy Minnie Mouse costume!